I didn't know much details about emu birds. thanks for sharing, Jeevan! They are a big bird...I would not want one to be mad at me and be in the same place. Hello Jeevan, pity these beautiful birds spend their lives behind wire.....but at least they are protected and have enough to eat! I like what you say about life and nature. This is interesting to know that emus could reach the height of 6 feet and run so fast. I had never seen them before. Do the people eat and cook the meat? Lovely to see them. Have a wonderful weekend. Hello! :) They are curious large birds. I didn't realize they good run so fast,..thank you for the information, and have a good weekend. Twilingt Man - Actually emus were introduced into our country for poultry purpose and many companies were opened in Tamil Nadu to promote this industry and many farmland owners invested at these companies in setting up emu farms, but that didn’t went fair and almost companies where shutdown due to defraud complain and many people lost their price... 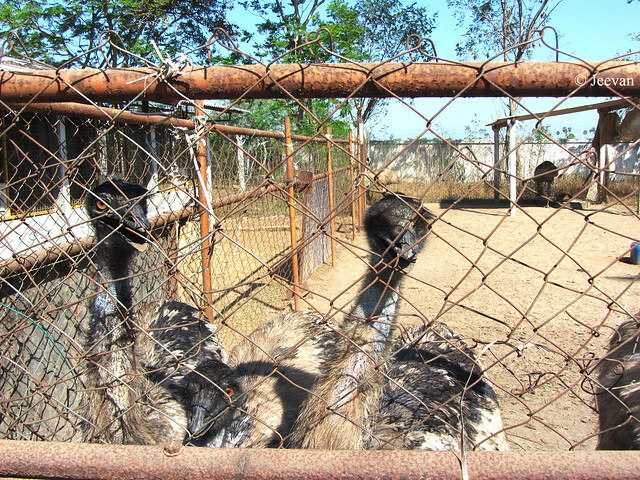 It is believed emu meats are fat-less. I have seen emus caged at some places just for attraction and couple of them were restaurants. 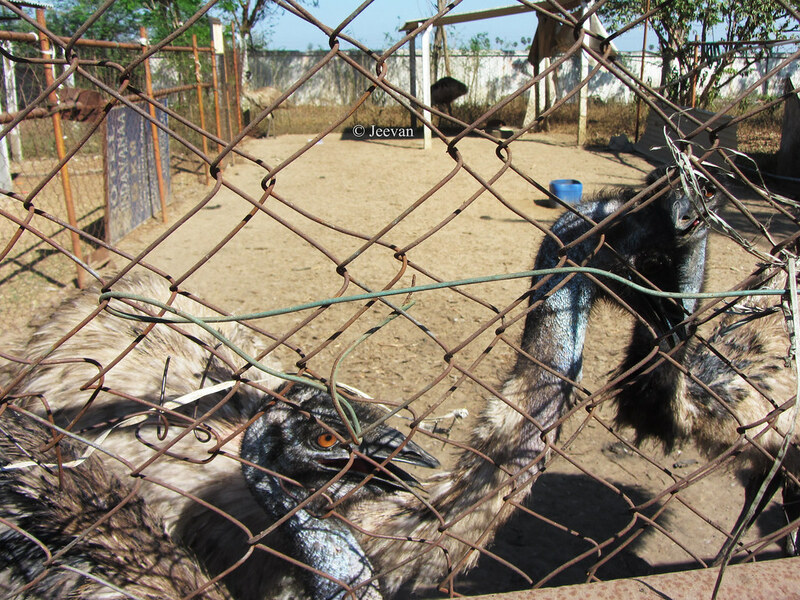 Hello Jeevan, the emu are cool birds. I did not know they could go weeks without eating. Thanks for the info, great shots. Thank you for linking up and sharing your post. Have a happy weekend! They could go for weeks without eating? That makes me think, for our size, perhaps three meals a day is overeating? :P I saw ostriches recently at Vandaloor. How huge they are! Wonderfully informative post on the Emu bird. 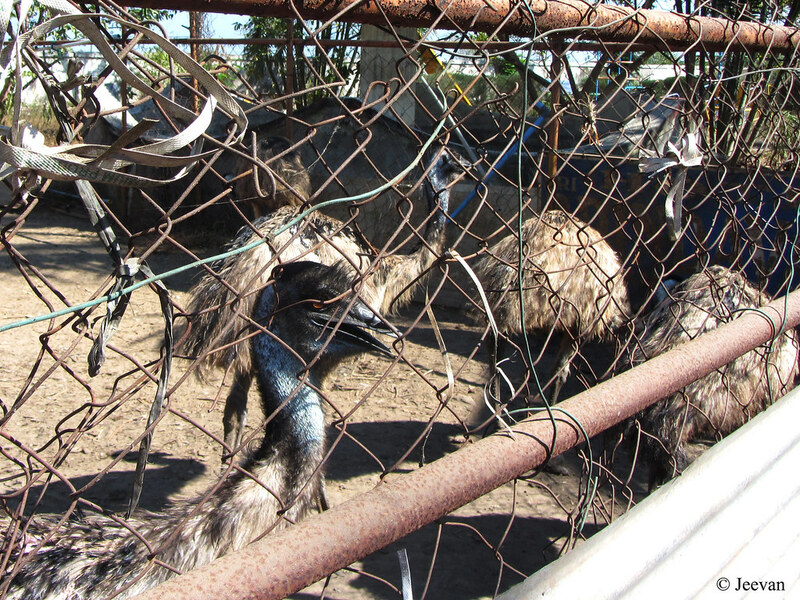 Great post and the emus are adorable ~ fun shots! Yes I have seen these farms, a little sad story though. I forget how big emus are until I see them in person. Great pictures, Jeevan. Great read ,and beautiful pictures Jeevan.